Just look at these beauties! I'm sure this already made it around the blog circuit (or hopefully will - the more exposure these talented artists get, the better! 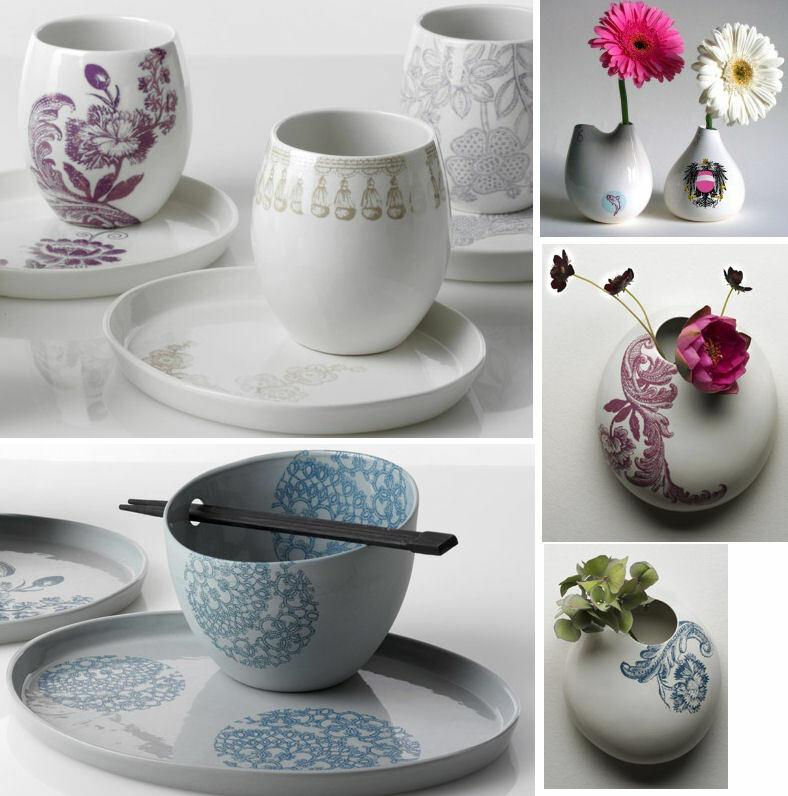 ), I have to highlight young product designer Sandra Haischberger of Feinedinge today for one simple reason: D-R-O-O-L.
Sandra is inspired by motifs from the past, particularly ones from old textiles, and then develops patterns for her porcelin wares that are truly stunning. Her work is enchanting, young, and most of all fresh. I recently spotted some of her wares in the home of a friend and had to know more about them. They're much more impressive in person than in photos, so if you purchase a piece, prepare to fall in love. In the states, you can find some of the Feinedinge collection at the lovely online boutique Peek Keep.